Cinema exposes realities characterizing the society which produces it, but it is at the same time a form of critical narrative that has questioned, challenged and even disrupted social and cultural patterns often proposing alternatives that may transform, overthrow and supersede them. 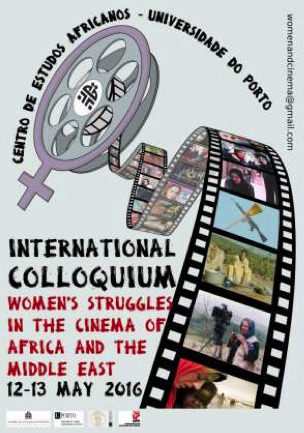 This conference thus aims at reflecting on the relations between cinema and society through a multidisciplinary debate around the representation of women and their struggles in the cinemas of Africa and the Middle East. This cinematographic production, still way too little disseminated and known in Europe, has been proposing broad and diverse readings on women's lives: readings for which female filmmakers whose approaches diverge from the hegemonic views have greatly contributed. It is this plurality of cinematographic views in the feminine and on the woman – different ways of questioning and expressing the polyphony of African and Middle Eastern worlds – that is intended to be discussed at this conference. PATRYCJA LITEWNICKA - Is it possible to stop the sexual harassment? A never-ending story presented by Mohammed Diab in the movie "Cairo 678”. NADINE SIEGERT - The visuality of militant femininity in post-revolutionary cinema. LAMIA GUIGA - Selma Baccara. Cinéaste, militante et femme politique: Combat d'hier, Combat d'aujourd'hui.